The bracelet you've selected is exceptional and deserves special attention. Please phone a diamond and jewelry expert and they will help you complete your order. 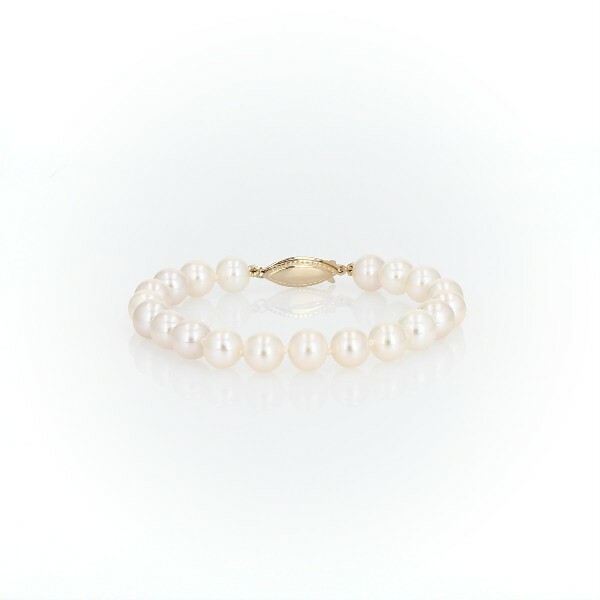 Nearly round, these freshwater cultured pearls strung securely on a hand-knotted silk blend cord and secured with a 14k yellow gold safety clasp. Choose between a 7 and 7.5 inch length to fit any wrist.